All credit must go to trainer Ollie Pears for a great few days racing with Smashing Lass. The 2YO filly was a promising third over six furlongs last Saturday, then then followed up midweek with a superb battling victory at Catterick. This filly by Sir Prancealot cost GBP 10,000 and has two winning siblings. Ollie was happy to send her back to the track after only a few days as she has proved to be very robust and takes her racing well. She was leading at the two pole, was headed, and then dug deep to come back and score by a head at the line. 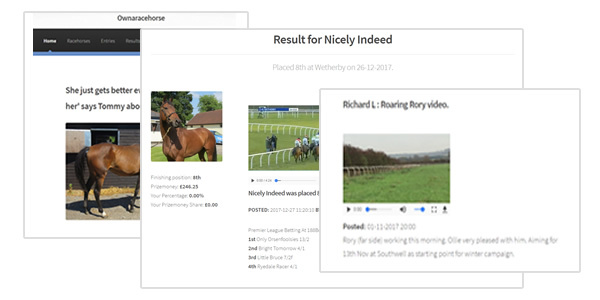 You can view the race now below - be aware that the racecourse lost their commentary as the horses came into the home straight, which is why the soun disappears as the filly makes her move! She will now have a short break and get her handicap mark before we target a nursery handicap with her. All shares in the filly have been SOLD OUT for this season.